Crock-Pot 6-Quart Pressure Cooker Just $49.99! Down From $80! PLUS FREE Shipping! 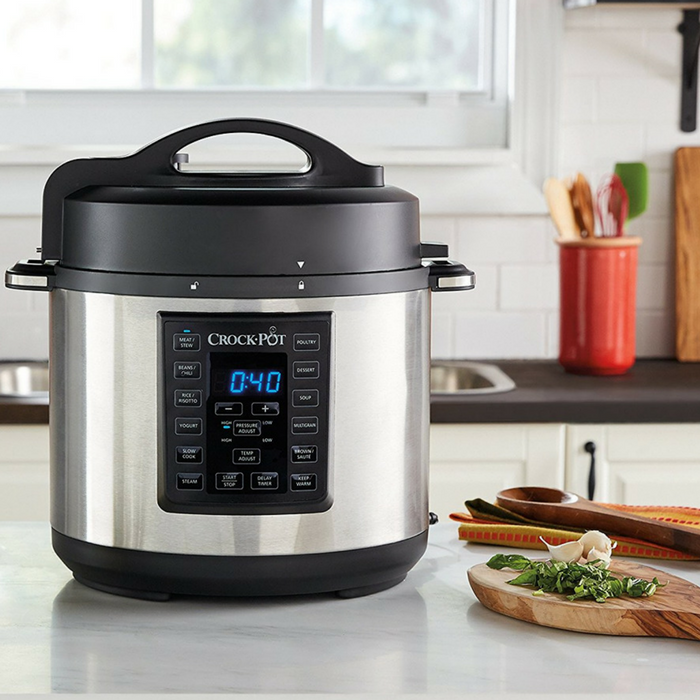 You are here: Home / Great Deals / Amazon Deals / Crock-Pot 6-Quart Pressure Cooker Just $49.99! Down From $80! PLUS FREE Shipping! For a limited time only! Hop over to Amazon to score the Crock-Pot 6-Quart Pressure Cooker for just $49.99 down from $79.99 PLUS FREE shipping! In today’s fast-paced world, you need a multi-cooker that can keep up with your lifestyle. The Crock-Pot Express Crock Multi-Cooker can cook meals up to 70% faster than traditional cooking, so you can spend less time in the kitchen and more time with friends and family. With the Express Multi-Cooker, thanks to 8 pre-set pressurized settings for various foods, you can choose to eat sooner, or you can use the slow cook setting to come back later to a delicious hot meal. You can also steam, brown, or sauté before programming, making one-pot meals easier than ever.